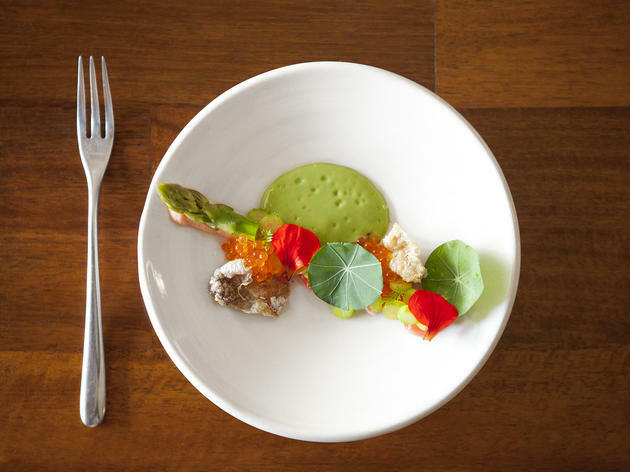 Chef Ari Taymor has crafted a tasting menu at Alma that takes each diner on a garden tour, playing with textures and flavors from start to finish. As one of the first restaurants to usher in a new era of Downtown, it makes perfect sense that Alma’s location straddles two chapters of the still-developing neighborhood: the space is on a rough corner of Broadway and Olympic, yet right down the street from the oh-so-cool Ace Hotel. 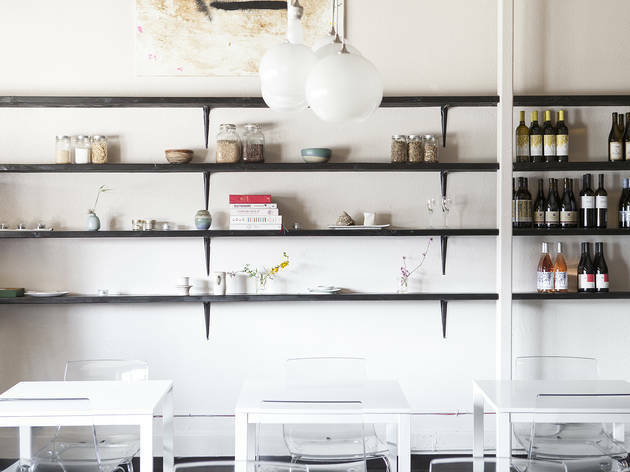 Inside the restaurant, sprigs of dainty flowers peek out of glass vases at each table, channeling the of-the-earth aesthetic Alma strives for with its neutral tones and soft lighting. Chef Ari Taymor switches up the tasting menu constantly, each dish inspired by Alma’s Flower Avenue garden in Venice Beach. 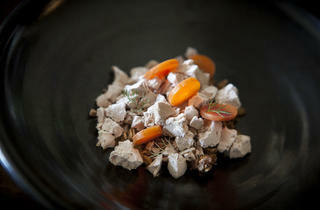 So what better way to be “at one with the food” than to eat with our hands, which is how the tasting menu begins. 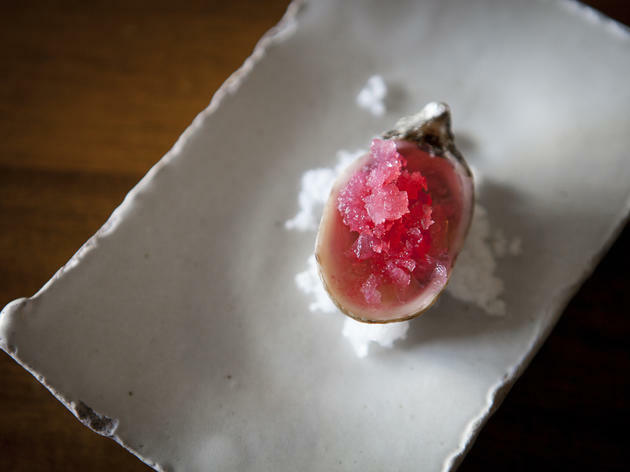 On our visit, the first course consisted of three dishes sans silverware: Shigoku oysters topped with fermented radish; warm, miniscule English muffins with burrata and uni; and piping hot seaweed and tofu beignets accompanied by a dab of lime aioli. From there (and with fork in hand), the meal takes a meandering course through land and sea, mixing temperatures and textures that kept us on our toes. 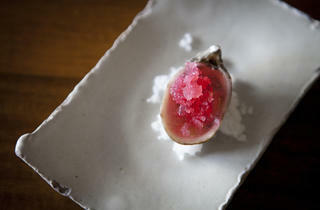 A chilly scoop of crab meat and artichoke was accentuated by soft bubbles that came from a paired glass of sparkling rosé, its frigid temperature a surprise after that steaming beignet. 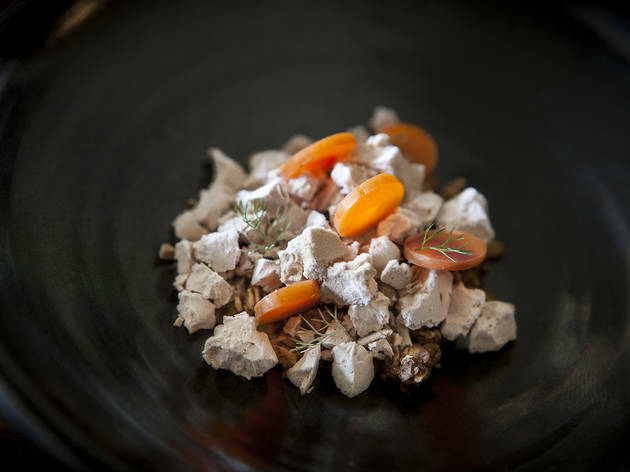 Taymor’s signature dish, frozen duck liver that has been smashed into a hundred pieces and tossed with maple and coffee granola, is like a trail mix of exceptionally indulgent ingredients. Sometimes, Taymor’s food looks a tad prettier than it tastes. 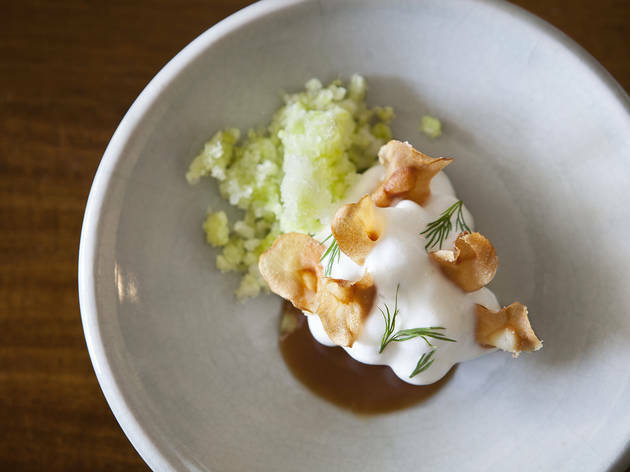 A dish of wild sturgeon, truffle and celery root elicited “ooohs” from the table with its topping of airy foam that billowed over the sturgeon like a crashing wave, but the fish itself was unevenly cooked and underseasoned. The most colorful plate of the night—roasted duck breast and kumquats and yellow squash that were delicious as individual components—was also the one that clashed the most, spoonfuls of bitter farro at battle with the duck. Still, at this point, there are two more courses to be had and each one is phenomenal: desserts that take on just as much of the garden as the rest of the menu, like pine ice cream sprinkled with dried apple chips, and geranium marshmallows with Meyer lemon sorbet. It’s enough to make you forget what part of town you're in entirely. What to Eat: The ten-course tasting menu, which is constantly changing; vegetarian and pescatarian options are available ($95 per person). 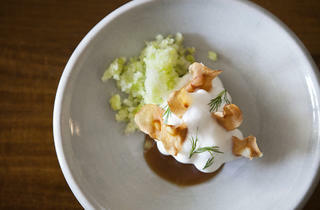 A smaller, three-course menu is offered Tuesdays through Thursdays ($50 per person). What to Drink: Wine pairings are available for $55, a recommended splurge to accompany the tasting menu. The pours are hefty, the progression from cool whites to heavy reds is well curated, and a dessert wine is a lovely finish to the meal. Beer and wine can also be ordered by the glass as well. 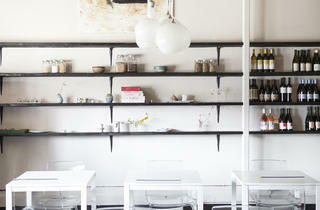 Where to Sit: Alma is small, with tables lined against one wall and a small number of kitchen counter spots. If you're at one of the tables, try to snag a seat facing the open kitchen, so you can see the chefs in action.